The colonial revival movement is important here because it began about 1870 and lasted well into the twentieth century. 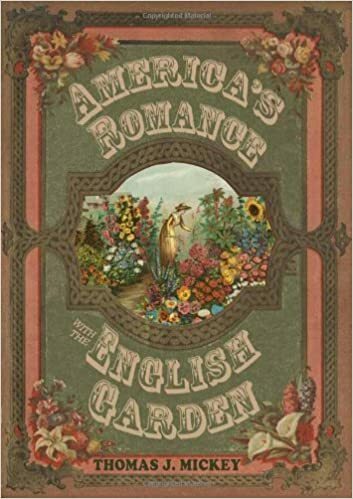 The movement gave America many houses and gardens from the colonial period. 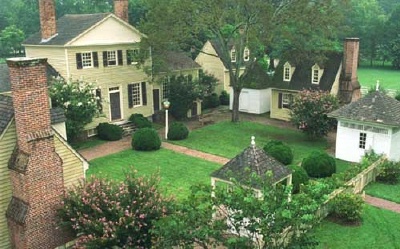 The most famous example of colonial revivalism has to be Colonial Williamsburg, completed in 1938. The gardens at Williamsburg however assumed a certain embellishment. The decisions for the gardens, especially ornamental plants, were made according to the recommendations of the landscape architect Arthur Shurcliff and the benefactor for the entire project, John D. Rockefeller, Jr. Thus what we see there includes the vision of designers and architects of what they thought the colonial period embodied. 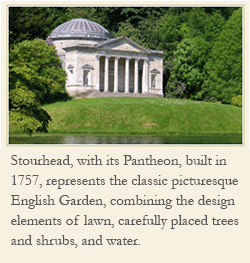 Gardens are subject to fashion and style. When it comes to restoring a garden of an earlier period, sometimes current style and fashion can enter a decision about design and plants.